This workshop is designed to teach techniques of mosaic at a intermediate level - 2 and it is open to alumni that have already attended and completed Le Terrae Mosaic Workshop 1. We also offer classes at more advanced levels. The venue is situated in our Renaissance Villa of the Aqueduct in the delightful hilltown of Orte. In addition to classes in the grand room led by our instructor, a practicing ancient mosaic restoration expert, we will take field trips to Roma and Ravenna. The classroom experience, focusing on the theory and execution of mosaic, will be complemented by these significant site visits to see and understand first-hand the progressive development of mosaic art and technique from the Roman to Bizantine period. In class the participants will learn the basics of the Bizantine mosaic techniques by direct method, the characteristics of smalti, marble, and stone, the different types of binders and the cutting of the materials. The process of creating mosaic will be learned through the creation of a portion of a copy of a Bizantine or Late Roman motif, to be be displayed in a 30 x 30 cm (12" x 12"). After breakfast in Orte, we will travel to Rome, to visit the most important churches and basilicas featuring Late Roman and Bizantine mosaics. We will see the wonderful polychrome examples of the Mausoleum of St. Costanza, and the churches of St. Clemente, St. Prassede and St. Maria Maggiore. Our lunch break will be at a local restaurant. At the end of the day dinner will be waiting for us at the villa. The program for these three days includes: Cutting of materials with traditional mosaic tools; Preparation of the plaster base; Stamping the mosaic drawing outline onto the base frame; Application of mosaic tiles on the plaster base; Cleaning of the artwork. 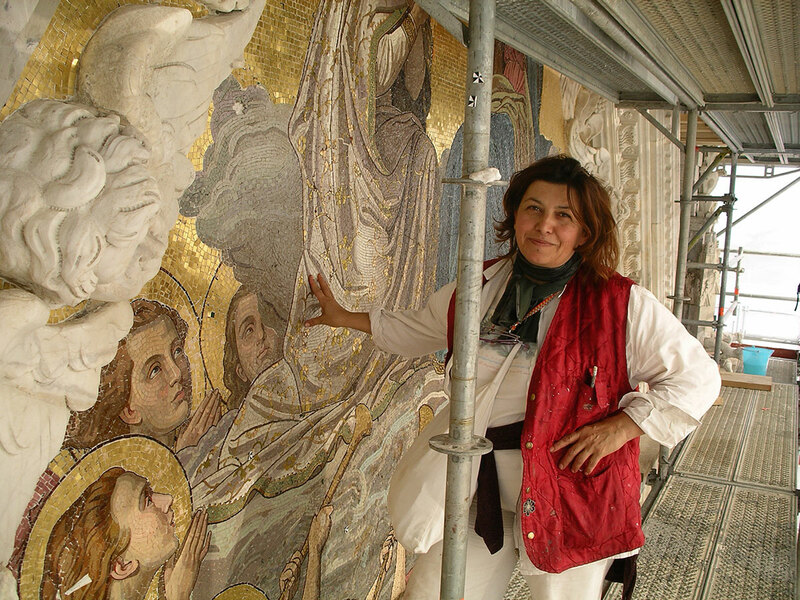 Conservation of mosaic oday we will leave for Ravenna, for an extraordinary visit to a complex of monuments that for its wealth of Bizantine mosaics has been declared a UNESCO World Heritage Site. The city was the capital of the Western Roman Empire in the V century, and capital of the Exarchate and administrative center of the Byzantine goverment in Italy until the VII century. Ravenna still preserves the artifacts of its glorious past with the exceptional artwork in the Basilica of St. Vitale, the Mausoleo of Galla Placidia, the Baptistery Neoniano, and the Basilica of St. Apollinare Nuovo. 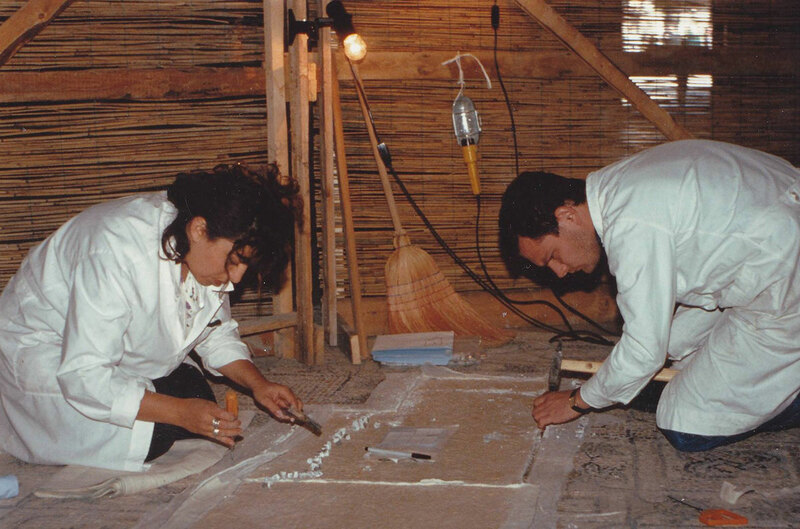 We will get an insider look at the state of conservation of the Bizantine mosaics and an history of the different techniques of intervention used for their preservation. Lunch will be at a typical local restaurant and dinner back in Orte. Finishing touchups. The farewell dinner will be at a local restaurant. 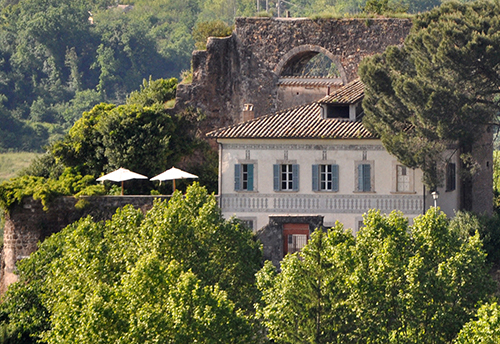 After one last breakfast at the villa, our driver will accompany you to the station of Orte. Thank you for having joined us! The instructor will email each participant a series of Bizantine or Late Roman motifs from which to choose the subject to be reproduced during the course of the class. Please communicate your choice promptly, so that the necessary materials can be ready on the first day of class.